Needless to say that I'm an avid supporter of art in all shape and forms, specially when it's coming from folks who are adding their voices to a grandeur of the fight for social justice. Recently, Educators 4 Fair consideration, an amazing organization based in the Bay, announced the winners for their national contest, "Things I'll Never Say." 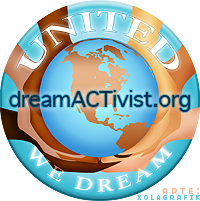 The contest encouraged undocumented young people in the U.S. to share their immigration stories in creative ways, whether it was through poetry, spoken word, art etc. I love going on the Huffpost Live. They hit me up for the most random conversations at all hours, which I don't really mind because I can always work around them since I'm on west coast time. And I will say that it's usually a cute girl from their offices trying to get me to be on the panel. Anyway, I participated in a conversation about what immigration reform will mean for the border to prison pipeline that currently incarcerates thousands of immigrants for extended periods of time for civil infractions. Folks are held in for profit detention centers that make more money the more folks the house. It's something I've talked about in the past and is getting more and more attention as immigration reform is at the fore front right now in congress. You know, it wasn't until I got outside of my bubble and experienced new things, that I finally realized that living in one place all of your life isn't the best idea in the world. For various reasons, I have spent my life in Los Angeles and no where else. My family moved around a lot growing up, following work. So the notion of being in one place for more than a year was something I wanted to aspire to. To plant roots and let them sink in. I've never had the opportunity to travel anywhere, aside from areas where there was family. As with a lot of other things in my life, ideas, notions and beliefs I held on to for lack of not knowing anything beyond them, are changing dramatically. I keep on opening my self to new ideas and concepts that are helping me grow as an individual. Ideas and concepts that seem to be taking me to other places. 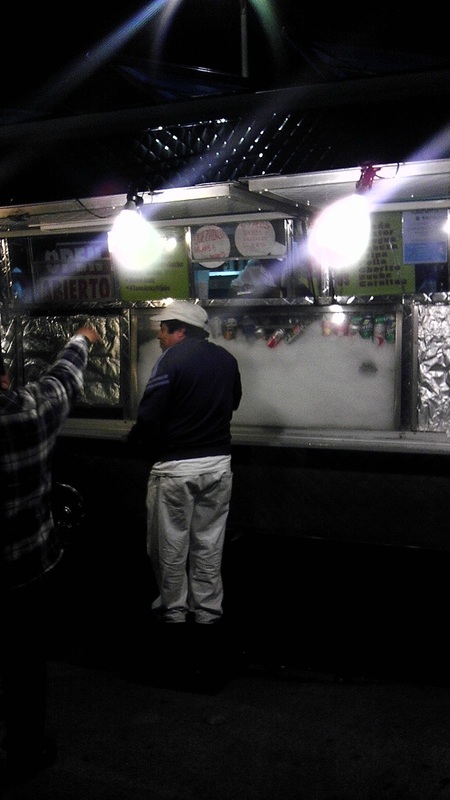 Finding myself at a taco truck is nothing new. Fact is, it's almost an everyday thing for me, ever since I was a kid. It's a kind of life style I've been a part of from both sides of the truck, if you will. Yet, every once in a while, I'll be reminded of everything else that I get at taco trucks, beside food. I think that having the ability to walk up to any taco truck or stand, to greet everyone warmly, have a conversation while the food is prepared, and leave both content in that you are full, but also in that you connect with strangers over tacos, is an ability that can't be comprehended by everyone. 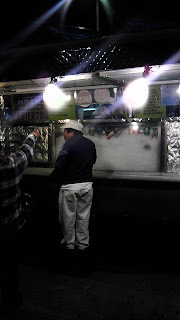 Whenever I find myself at a taco truck/stand and I have those moments of connecting with folks over food, sharing tid bits of our personal lives like where we're from, how long we have been in the US and personal thoughts/commentary on what is going on with immigration reform, I truly feel at peace with myself. I realize that I have access to folks that help keep me grounded and tell hilarious dirty jokes. At the same time, I'm reminded of my parents every time I have 'taco life' moments. Familiar faces and scenes like deja vu, standing on a corner, mouth full of carne asada, the sound of cars passing by, the meat cleaver chopping meat, the look of hungry faces. It's a symphony or sorts that can only ever be replicated by happenstance. And yet, I pity those who have never had the opportunity to have a taco life moment.